Gerry O’Connor is from Dundalk, Co. Louth, where he grew up in a family of musicians, dancers and singers, all taught at home by his mother, Rose. His father Peter was himself a singer whose seven uncles all played music. Rose was the doyenne of fiddle teachers, passing her skill on to hundreds of others over the next four decades, students travelling from Armagh and Dublin as well as counties Meath and Louth to learn from. From an early age Gerry was involved Irish music, winning numerous All Ireland awards in a range of duets, trios and céilí band titles. Playing with Michael Coleman’s contemporary John Joe Gardiner in the 1970s shaped Gerry’s style in the form of the fluid, lyrical fiddle-playing of the great Sligo masters. He was a step-dancer too, a grounding which complements his music, imbuing it with vibrancy, a pulsating rhythm for which he is noted, marking him today as one of the great fiddle players of his generation. Gerry O’Connor has played and recorded with Lá Lúgh (Eithne Ní Uallacháin, Sony Music) and Skylark (Len Graham, Gary O’Briain & Máirtín O’Connor), recording four CDs on the Claddagh label. He has toured and recorded with members of all the legendary Traditional music ensembles, including Planxty, Bothy Band, De Danann, Boys of the Lough and The Chieftains. Lá Lugh’s album Brighid’s Kiss was voted Album of the Year in 1996 by readers of Irish Music magazine, and Gerry’s solo CD Journeyman was rated in the top five Albums of 2004 by The Irish Times. This critically acclaimed recording, co-produced with his son Dónal (At First Light), was heralded as a milestone in the recorded music of the Oriel region of South Ulster. Gerry has also toured for more than fifteen years celebrating Irish and Breton music links with Gilles le Bigot (Barzaz, Skolvan), recording with him a live album in 2006 (In Concert). In the same period Gerry recorded and toured with The Irish Baroque Orchestra under the direction of Elizabeth Wallfisch, recording Ardee Dances, a piece commissioned from Rachel Holstead. He continued to perform with Wallfisch in The Wandering Fiddlers project at the Wigmore Hall, Belfast, and the Brighton Early music Festival. His recording continued in 2010 with Jig Away the Donkey, an album focusing on the music and song of South Ulster, performed with Martin Quinn and Gabriel McArdle; in that year Gerry also produced an album of Fermanagh fiddler Seán Nugent’s compositions The High Hills of Largy, featuring many of Sean’s students, music friends and family. From 2005 -2010 Gerry taught Traditional Music Performance at Dundalk Institute of Technology, during which time he completed a Masters by Research on Luke Donnellan’s Dance Music of Oriel. (2008) In 2011 he produced the song collection I Have Travelled this Country with 123 unrecorded songs of Boys of the Lough musician Cathal McConnell. His most recent project has been the 2012 album Oirialla recorded with Nuala Kennedy, Martin Quinn and Gilles le Bigot, Gerry released. Recent re-releases of his music are Cosa Gan Bhróga (with Desi Wilkinson and Eithne Ní Uallacháin on Gael Linn) and Senex Puer (on IML). Gerry has toured too with the a cappella vocal trio White Raven led by Kathleen Dineen, with whom he has recorded and performed at European international choral festivals including RheinVocal and Merano. He is also currently touring and has recorded with the celebrated Irish-Canadian band The Irish Rovers. 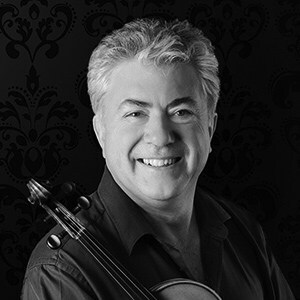 A four times winner of The Fiddler of Oriel competition, Gerry has lately adjudicated both it and the Gael Linn’s Siansa and RAAP /RTE sponsored Breakthrough competitions. He was co-founder and first Artistic Director of Ceol Chairlinn, an annual teaching festival in Carlingford , Co Louth. He is also the Traditional Arts coordinator at the newly established Creative-Connexions Irish/ Catalan Arts festival in Sitges, teaches fiddle at the Willie Clancy Summer School and at master-classes throughout Europe. He has been working and playing with Tiarnán Ó Duinnchin and Fintan Vallely in the Compánach project since 2013.